I am feeling so defeated as this New Year approaches. I am the mother of an eight year boy with autism. He’s pretty impacted in most areas of development. It took forever for him to learn how to be toilet trained. His language is pretty poor and I need to constantly be monitoring his behavior to see that he doesn’t get too aggressive in public. I quit my job so that I could be more available to him and now my whole life revolves around taking my child to one therapy appointment after another. Dr. Hess, I feel like a dog chasing her tail. I know there has got to be a better way to run my life, but I don’t know how. Signed-Forever Frustrated in Lomita, CA. You signed your name appropriately, but not only are you feeling frustrated and defeated, you are also exhausted and for very good reason. Parenting any child is no easy task, but when you have a child with a developmental and/or physical disability, life often revolves around the needs and services that your child has. And too often, your own needs are left on the side unaccounted for. I was recently on an airplane flight and as part of the safety introduction the stewardess advised parents that in case of an emergency, the best way to help your child was to first make sure that you own oxygen mask was securely fastened. While instinctively parents may recoil at the idea of taking care of themselves first before attempting to rescue their child, the logic is sound. Regardless of your son’s long term outcome, the reality is that to do best by your son, you need to make a New Year’s Resolution that you will be willing to start taking care of yourself. Self care provides both the physical and the emotional stamina that parents need to see that their children achieve success. The following are suggested strategies to start the New Year off right. It may take you several baby steps forward to progress with your plan for thoughtful self care, but ultimately, your child will thank you for it. Respite is not a dirty word. It is imperative that parents realize that one or two people alone cannot raise a special needs child. Help, in the form of monies for child care support, may be available, by contacting your local Regional Center. Religious organizations typically offer support services as well to families who are providing full time care for their youngsters. This care may be in the form of an on-site sitter so that you can attend services and/or enrichment classes, which can provide opportunities for both social and emotional support. If respite is not available, then take the initiative and get a babysitter at least once a week. Local colleges and universities often have students who are looking to make a little extra money and with a bit of training can be an excellent support to your family for a few hours a week. In addition, many high schools in California require their students to commit to 30 hours of community service before they graduate. Helping out a family with a challenged child can benefit both you and the student. Check with your local high school and speak to the school counselor to get suggestions for students who would be appropriate. By the way, you don’t have to go out of the house to use a sitter. If you need to take a bath for an hour to relax/meditate or require some quiet time to get part of your house organized, this is the perfect opportunity to have the sitter come over and lend a hand with the kids. In these tough economic times, co-op babysitting offers a no cost alternative for you to both get to know families in like situations and barter or trade babysitting services in exchange for sitting for them at another time. Once you do feel comfortable that your sitter has things well in hand, please don’t forget to take the opportunity to make a date out of the house with your spouse and/or significant other. The needs and demands of a child can feel all consuming. It is critical to create an atmosphere that allows you to remember why the two of you got together in the first place. Don’t minimize the need to get some physical exercise for yourself. Moving your body releases natural chemicals in your system called endorphins that are critical for mood balance and overall stability. Many gyms offer New Year specials as incentives to join, but you can also check out the local YMCA, where low cost exercise classes (often with child care) are available. And there is nothing wrong with having your child join you on walks in the neighborhood. Too often families complain about the difficulty in taking their child on outings and forgo excursions for the comfort and security of home base. But, as children’s exposure becomes limited so too do their opportunities for learning how to navigate and regulate in the world. Whether you do it alone or in the company of your support team, both you and your child will benefit from getting out and exercising together while enjoying the opportunity for new emotional experiences that ultimately can lead to the added benefit of developmental growth. Join parent support/advocacy/educational organizations with families who are experiencing similar circumstances. 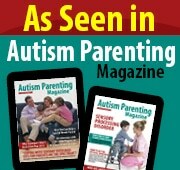 For parent s with children who have been diagnosed with autism, as an example, there are several national organizations, such as Autism Speaks, the Autism Society of America and TACA (Talk About Curing Autism) who often have local chapters in your area. These families have been down the same road that you are now on and are typically very generous in the multiple areas of support that they offer. We often start the New Year with promises of changing our lifestyle to improve our lives and the lives of those we love. Parents believe it or not, the greatest gift that you can give to your child during this upcoming year is a healthy mom and dad. Esther B. Hess, Ph.D., a.k.a. The Developmental Doc.